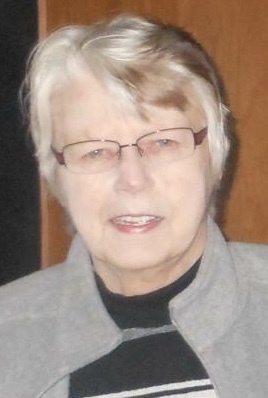 Ruth Ann Stokes, 80, of New Boston, Illinois died Tuesday, January 15, 2019 at Genesis Senior Living, Aledo. Per her wishes, cremation has been accorded. Graveside services will be at 11:30 a.m. on Friday, January 18th at New Boston Cemetery. In lieu of flowers, memorials may be left for Genesis Hospice or Genesis Ambulance. Dennison Funeral Home, Aledo is handling arrangements. Ruth Ann was born November 27, 1938 in Camden, Ohio the daughter of Wilson F. and Kathryn E. Bowman Kiracofe. The 1956 graduate of Camden High School went on to attend Stephens College in Columbia, Missouri. On September 13, 1958, she married Ross Campbell… together they had two children, Julie and Stephen. They later divorced and Ruth Ann married George Herring in 1971. Ruth Ann and George built George’s Place in New Boston in 1975. They operated the establishment until 1985, when Ruth Ann sold to George. In 1987, Ruth Ann married Gerald “Jake” Stokes, they were married until his death on November 12, 2016. In her free time, she enjoyed the outdoors, boating and fishing, working crossword puzzles and reading. Those left to cherish her memory are her children: Julie McCleary of Joy, Illinois and Stephen Campbell of Sebring, Florida; grandchildren: Bradley (Becky) Campbell, Megan Campbell and Erica (Sam) Hoopes; great grandchildren: Makayla and Logan Campbell and Blaire and Henry Hoopes and her sister: Karen (Dennis) Feix. She was preceded in death by her parents, husband: Jake and brother: Richard Kiracofe.